That’s why we stay true to our Love Promise Community Commitment by partnering with a wide variety of community nonprofits and charities. Every year, we join hands with our owners in the “Share the Love” event, giving back to our community-a community that’s given so much to us. We are proud to participate in the Love Promise Community Commitment. We’re grateful, not only to be a part of our community, but to serve and support the causes and passions that are closest to our hearts, right here in our neighborhood. How is Wilsonville Subaru dedicated locally to the Love Promise? Our Love Promise can be seen in various partnerships with local charities and non-profits. We’re grateful for the opportunity, not only to be a part of our community, but to serve it as well. This January, Wilsonville Subaru was the main sponsor at Wood Middle School’s Pop Up Market. Vendors attended the event and donated $3,000 of their profits to the school. Throughout November & December, Wilsonville Subaru team members were able to wear jeans to work on Fridays if they donated $10 or 10 cans of food to Wilsonville Community Sharing/Food Bank. We were able to donate $480 and multiple boxes of food to the local organization. This holiday season, Wilsonville Subaru was able to gather toys, clothing and food for a local family in need. This December, we were able to join Victory Academy in their annual Winter Program, where students from each class performed a variety of songs and performances. In October of 2018, Wilsonville Subaru joined the Victory Academy in celebrating their 10th birthday. This year, Wilsonville Subaru was able to help the Wilsonville Public Library Foundation put on their “Toast to Imagination” event. This event raised over $11,000 for the Wilsonville Public Library. Our team recently teamed up with Wilsonville Community Sharing/Food Bank to provide 81 local families in need with turkeys, mashed potatoes and more for Thanksgiving dinners. Subaru recently partnered with Victory Academy’s Work Experience program as a host site for student interns. The Work Experience program works in partnership with businesses in Wilsonville and the surrounding area to connect the students enrolled in Victory Academy’s Transition Program with internships and paid employment opportunities across a variety of vocations. 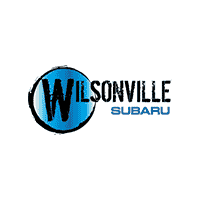 Wilsonville Subaru has partnered with the Charbonneau Art Association again this year to help put on the 2018 Charbonneau Art Festival. The event is a 3 day art festival featuring local artists, where the proceeds from the festival go to local high schools – Wilsonville and Canby. This year, Wilsonville Subaru was a proud sponsor for the 13th annual pink ball tournament, an event that raises money for the OHSU Knight Cancer Foundation. For the 2018/2019 season, Wilsonville Subaru donated $500 to Canby High School’s girls soccer team in order to help lower the participation costs and help provide the team with gear for the upcoming season. Wilsonville Subaru hosted the Oregon Humane Society in August, where our team presented the humane society with a check for $9,000 that was raised during our Subaru Loves Pets event. Attendees were invited to join us for refreshments and treats as well as a “Why Does My Dog do That?” Q&A presentation from members of the Oregon Humane Society. On July 21st, 2018, Wilsonville Subaru teamed up with the Oregon Subaru Club to put together our first annual beach cleanup event. Over 200 volunteers were able to clean up more than 80 pounds of garbage along Sunset Beach. In July, Wilsonville Subaru hosted a bingo night for Wilsonville Community Sharing. This family event helped to raise funds for Wilsonville Community Sharing and Food Bank. For each Subaru sold in the months of June and July, Wilsonville Subaru donated $25 to the Oregon Humane Society as part of the Subaru Loves Pets event. During the months of March and April, Wilsonville Subaru was able to present a check for $12,533.66 to the Make-A-Wish foundation, thanks to our Share the Love event. Wilsonville Subaru was the presenting sponsor of this noncompetitive charity walk that helped to raise awareness and funds for Meals on Wheels People. Nearly 1,700 people came out to support and raise funds for Meals on Wheels People. Wilsonville Subaru was the presenting sponsor for the 2018 Oregon Trail Rally – a rally event held at Portland International Raceway in April. Along with other local Subaru dealers, Wilsonville Subaru helped box over 30,000 pounds of food, providing 25,224 meals for families in need. We’re a sponsor for Snowvana, a celebration of a variety of snow sports that includes a film festival, live music, and local food. Wilsonville Subaru was an official sponsor of the Boones Ferry Primary School Fun Run, which aims to raise funds for various STEM learning materials in our local community. Our dealership signed on to the fantastic Subaru Loves Learning Community Commitment, which aims to enhance local learning through the donation of STEM reading material to a variety of schools. We sponsored the invaluable Pink Ball Fundraiser, a golf tournament that raised a significant amount of money for cancer research in Oregon. We took part in the fantastic Lanphere Wellness Competition, which promotes company health through a 3-month employee competition. Wilsonville Subaru is an EcoBiz-certified dealership. We’ve taken significant steps to ensure we minimize all hazardous waste and air and water pollution that can be produced by businesses around the world. We were an official sponsor for the Fore! The Kids Golf Tournament, all proceeds from which were donated to the Boys & Girls Clubs in order to help young people get on successful paths and reach their full potential. We hosted the Operation Kidsafe Regional Child Safety Day event, which promotes child safety in our local communities. On May 13, 2017, we hosted the Girls on the Run 5K, an event celebrating a group of 3rd-5th grade girls’ successful completion of an engaging 10-week program and service project. Wilsonville Subaru is an official drop-off location for Abby’s Closet. Abby’s Closet works to supply gowns to young women who need them in order to attend prom and similar important events. The organization also provides educational materials to help young women develop significant leadership skills.